At SERVPRO of East Brunswick/Princeton Meadows, customer satisfaction is our number one priority. We can say all we want about our services and staff, but in the end, it's all about what our customers say about us that matters. "All workers are very professional and kind throughout this stressful situation". "Everyone...Nick, Rich, Jesse, Carlos and Ken were so helpful and wonderful." "Very direct, clear communication. Overall extremely helpful." "Felix was great at explaining everything and getting everything done smoothly! The entire staff is so nice and personable." "SERVPRO - Sal and his folks were very responsive to my urgent needs." "Ken was excellent and professional." Storm damage cleanup in Cedar Grove, New Jersey. 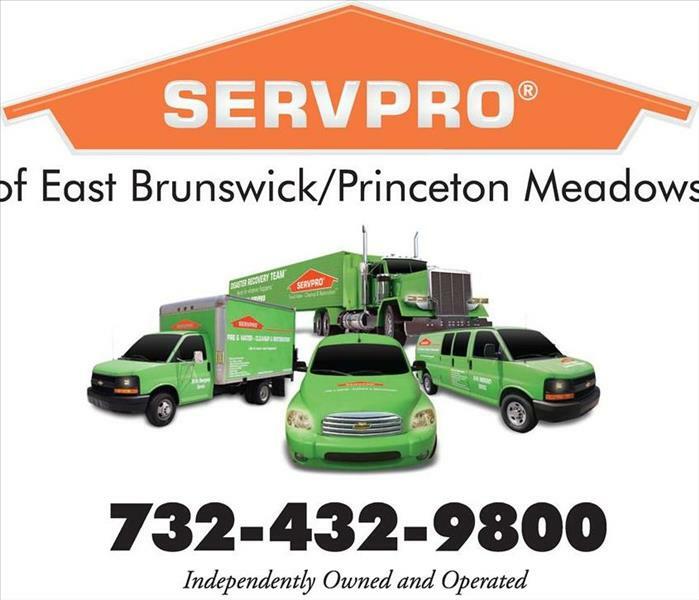 SERVPRO of East Brunswick/Princeton Meadows is available 24/7 for all types of emergencies and storm damage. We understand the severity of water damage and are here to help ease some of the trauma. A few months back in Cedar Grove, New Jersey, our team of professionals had been working around the clock to help ease the disaster created by floods to a local Party City. Even with all of the precautions the chain store had in place, some messes are just beyond our control. But, not for SERVPRO of East Brunswick./Princeton Meadows. Despite approaching our busiest of seasons, our team worked around the clock and after hours, to ensure that we were able to get this business up and running as soon as possible. 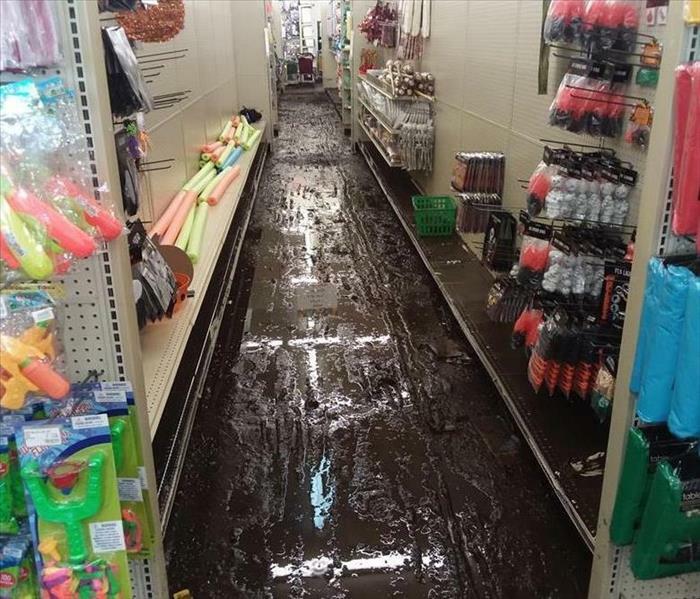 After the severe flooding and damage occurred, our SERVPRO team went into the store, and cleaned all damaged surfaces--including any damaged merchandise--and went about restoring the store to its original standards. No matter how big the disaster, the SERVPRO of East Brunswick/Princeton Meadows team knows how to get any and every job done right--and efficiently. For all of your emergencies, reach us at (732) 432-9800, 24 hours a day, seven days a week. Smoke and soot can spread throughout various areas of a structure causing hidden damage and odor. 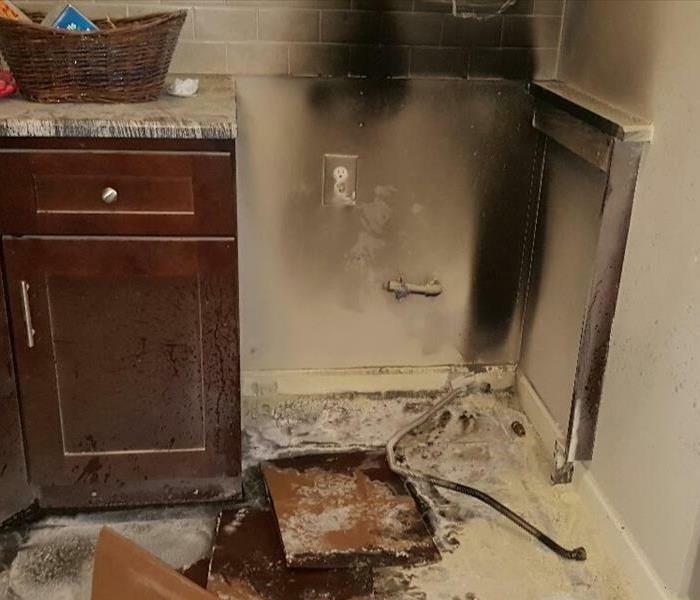 A recent fire in a condominium complex in South Brunswick, spread and affected other units in the complex. When fire or water damage occurs, most people are not prepared for the extent of damage it causes. SERVPRO of East Brunswick / Princeton Meadows professionals are thoroughly trained in dealing with these types of losses. Our technicians are certified by the Institute of Inspection, Cleaning and Restoration (IICRC) to provide specialized services in order to rid your home or business of offensive odors and soot left by fire and smoke damage. Our team of technicians were on site immediately after the fire loss to help remediate the cleanup process and help the homeowners through the course of a tough situation. Without the proper cleanup and deodorization, even a small fire could cause odors for years to come. 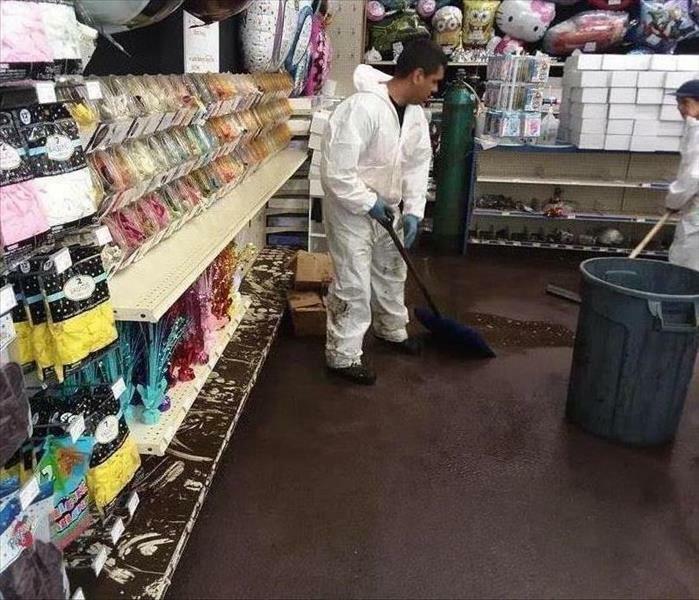 Due to the recent torrential downpours throughout New Jersey, our team of professionals have been working around the clock cleaning up the water disaster created by floods to several local homes and businesses in the Cedar Grove, Little Falls area. Considering the number of storms New Jersey has been through in the month of August and the amount of rain we have received within hours, cleanup will remain ongoing for a while. Flooded homes and businesses, damaged cars and debris all over will take some time to clean up. SERVPRO of East Brunswick / Princeton Meadows works with your insurance company to ensure a smooth claims process. SERVPRO demonstrates its ability to handle any type of disaster. We have the resources and equipment to restore your home or business to preloss conditions. Immediate response ensures less restoration costs as further damage is reduced with fast response by our professionals. Regardless of the size if the disaster, SERVPRO of East Brunswick/Princeton Meadows team of professionals know how to get the job done right and efficiently. Call us at (732) 432-9800, 24 hours a day, seven days a week. Call SERVPRO of East Brunswick / Princeton Meadows if you suspect you have a mold issue. Mold is a common fungal growth found both indoors and outdoors, entering through open windows, vents, heating, and air conditioning systems. Between places of moisture and the dust bunnies growing on your wallpaper, mold can form almost everywhere. SERVPRO of East Brunswick / Princeton Meadows is here to explain some common identifiers of mold and how to control them. Mold festers in a variety of places so there is no one specific place that you should be particularly wary of. One of the most common signs of mold is the identifiable black or dark spots on surfaces. With that black stain comes the distinguishable musty smell. The smell and spots combined are signs of a potential mold issue. Mold, however, may not always be easily identifiable. While people react differently to environmental factors, those sensitive to mold specifically may experience nasal stuffiness, throat irritation, coughing and sneezing. The idea of mold may seem daunting. 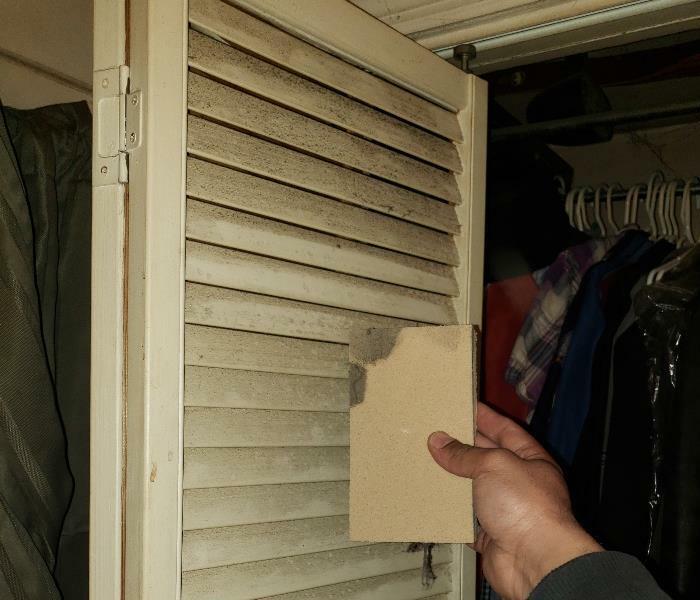 Nevertheless, there are steps you can take to prevent and control mold growth. Be sure to eradicate any moisture in your house immediately after a storm or flood. Check your humidity levels daily. Vent damp areas of your home including the shower, laundry room, and kitchen area. Fix any leaky pipes or windows as soon as possible. Fire damage can often be a complicated problem to tackle due to the unique behavior of smoke. The different types of smoke formation, wet smoke and dry smoke-- results in different type of soot residue after a fire. The professionals at SERVPRO of East Brunswick / Princeton Meadows are thoroughly trained in their ability to identify different types of smokes as this knowledge is essential for proper restoration. As a part of our restoration process, SERVPRO professionals will begin by surveying the damage and assess its impact including the fire damage, soot build up, odor and any other potential concerns. Understanding the type of smoke you are dealing with prior to beginning the actual restoration process allows our professionals to determine the best cleaning method for the situation. Smoke travels and penetrates various cavities within the structure of your home, allowing for the buildup of hidden damage and odors. Since our professionals experience a variety of disasters, they understand building systems and the potential distance and locations that smoke can and will travel. In general, hot smoke travels to cooler areas and smoke can travel through plumbing systems affecting multiple floors. SERVPRO of East Brunswick / Princeton Meadows specializes in commercial and residential fire and water damage restoration. We have the specific damage restoration training, personnel, and equipment and can quickly restore your home to pre-fire condition. Call us at 732-432-9800 for immediate service. 9/5/2018 - SERVPRO is Hiring Now!